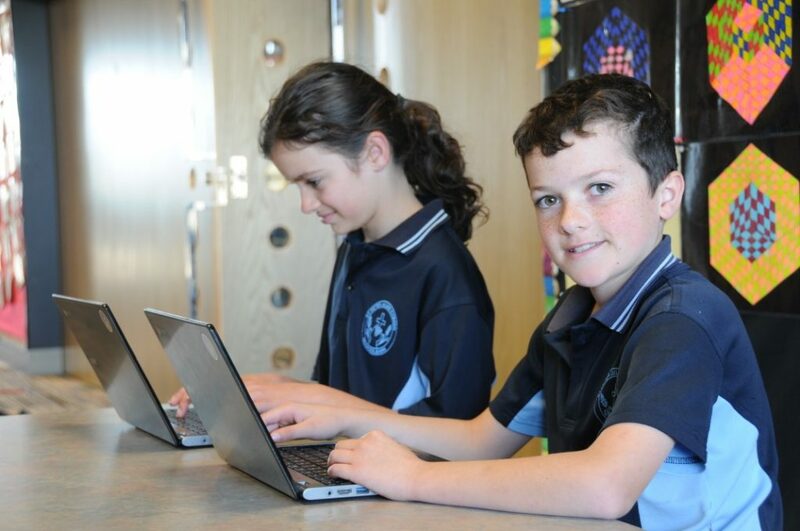 At St Peter Julian Eymard Community School, students have access to a wide variety of digital technologies to assist them with their learning. From Chromebooks, to iPads, to robotics, students regularly have their hands on devices to help them solve problems both inside and outside the classroom. The recent Digital Technologies curriculum, which we have a strong focus on at SPJE, encourages students to not only by consumers of technology, but to be creators, using technology as just one of their tools. Through a variety of ‘plugged’ and ‘unplugged’ activities, we aim to boost student’s skills in critical, creative and computational thinking which will give them the skills to help them flourish and thrive in the future.